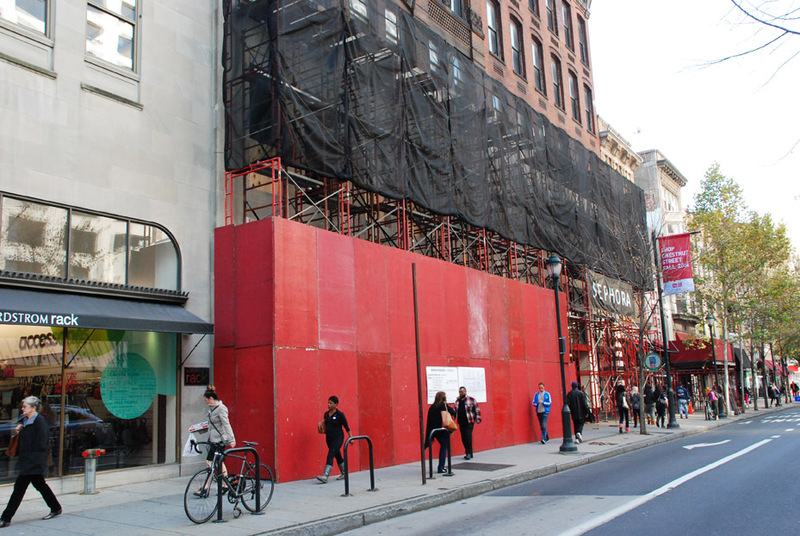 Forever 21 is building out their new location on Chestnut street and decided to enlarge the entrance way and windows on the first few levels. 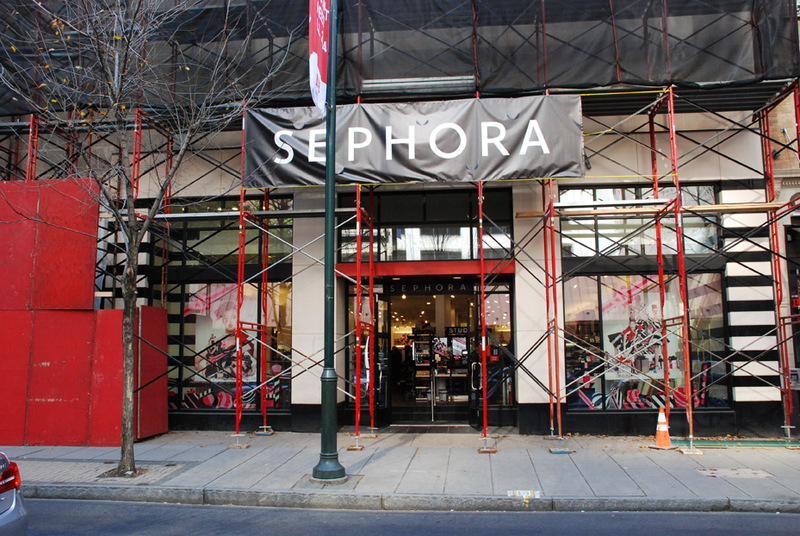 They wanted theirs to look similar to Sephora with lots of light coming in the front of the store. 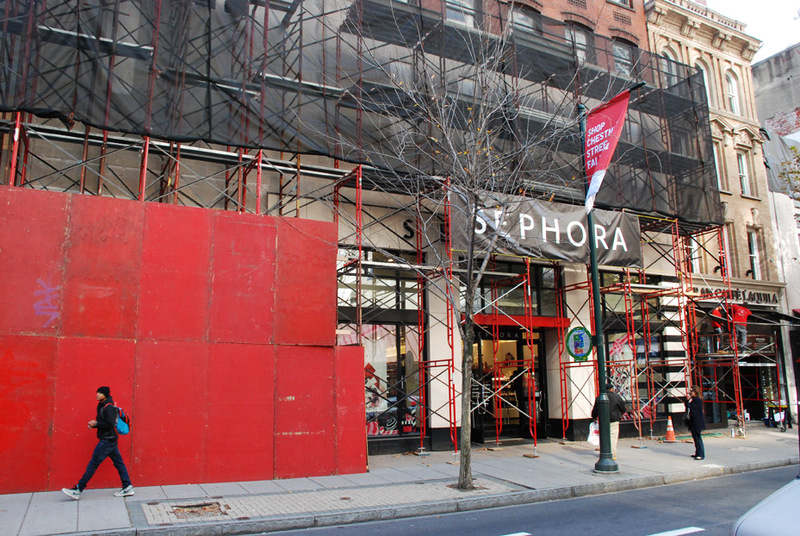 Superior was first called out to provide the scaffolding for the facade restoration – but later provided the shoring when crews realized just how much work it would take to create the new openings. 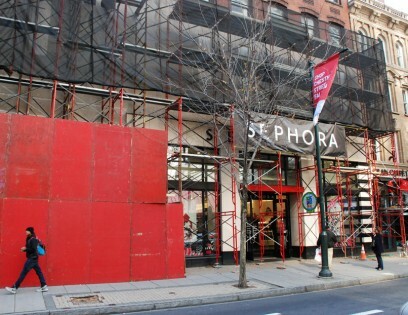 Forever 21 asked if we could add shoring without removing the scaffolding. 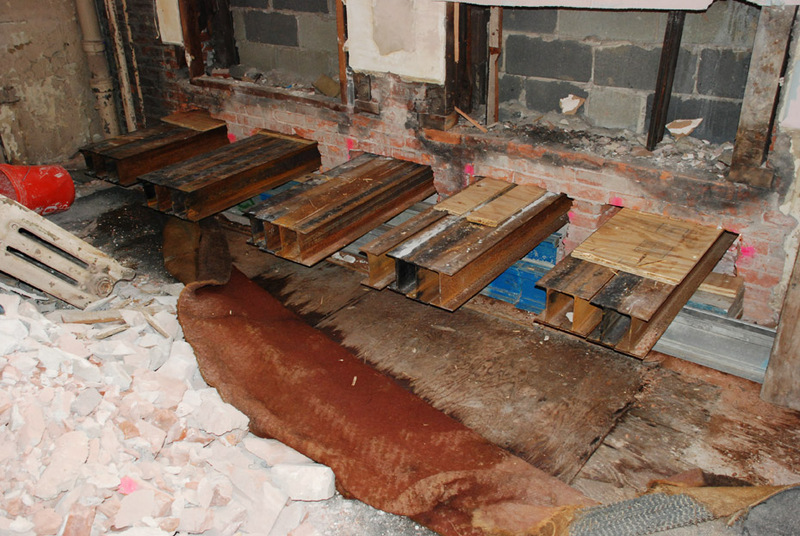 So we came up with a solution where we only had to take the the decking off and remove some frames to get the shoring into place. 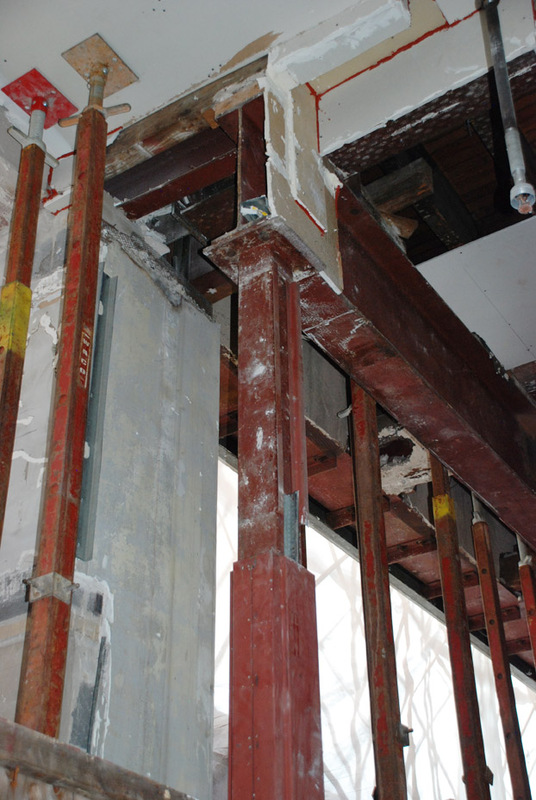 The shoring was needed to support 2’ thick brick walls, steel and concrete 5 stories tall! 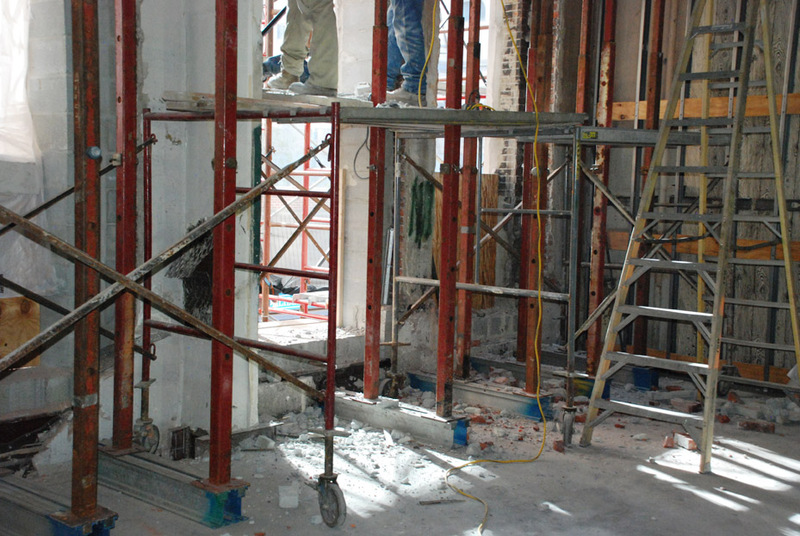 We had to carry the entire building load down to the second floor then down to the 1st floor. This is a great job to show as an illustration because we have so many different pieces of equipment on the scene. 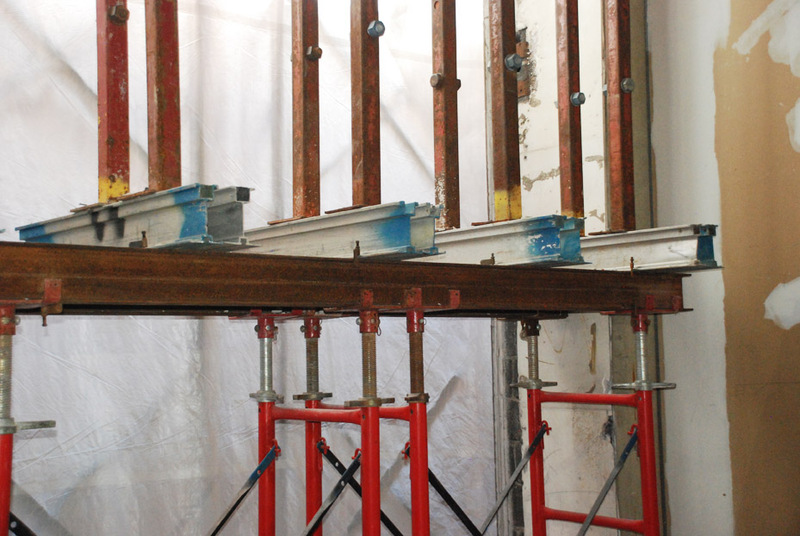 We have everything from hi-load frames, steel beams, aluminum beams, kip shores, screw jacks, shoring heads, adjusting screws, etc. 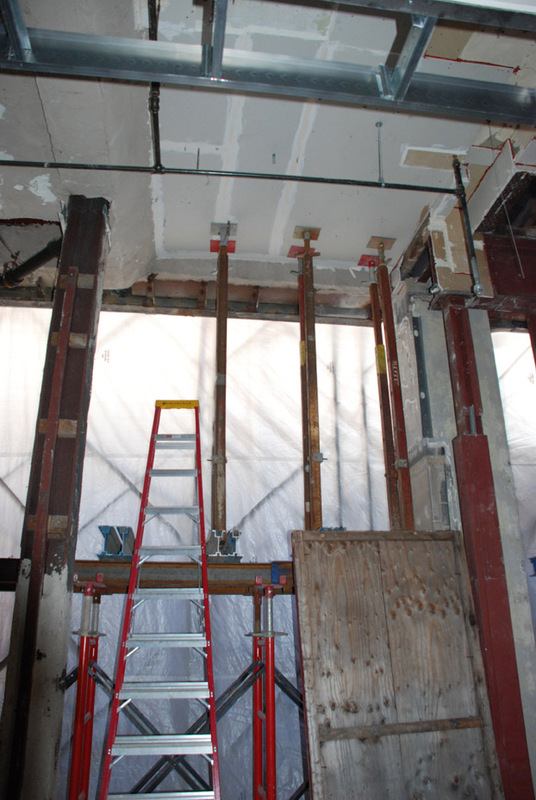 On the first floor, there was an existing steel beam we had to work up and around by stacking post shores onto the high load frames. 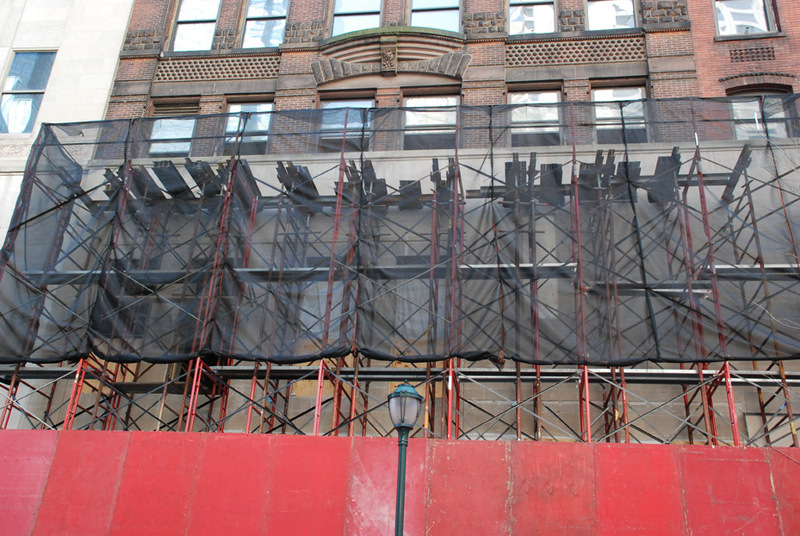 Scaffolding was also required inside to support the crews. 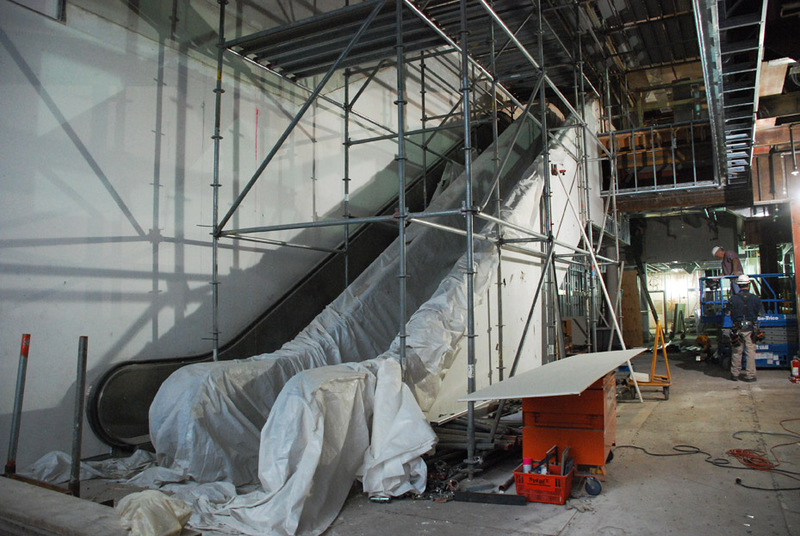 We erected a system scaffold on the first level to get crews up the second floor ceiling above the escalator for demo work and for new mechanicals (electrical, HVAC, lighting, etc.). Outside, the job uses regular J frames. 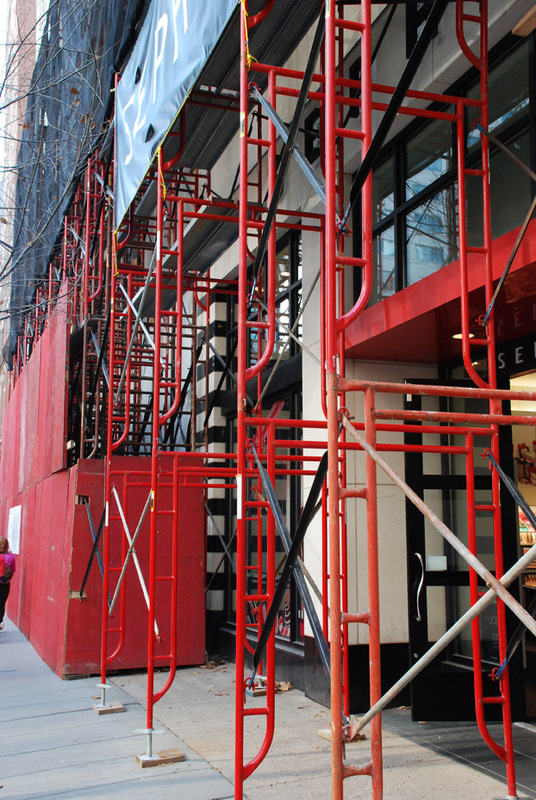 These are a quick and easy alternative to system scaffold when the ground is very level and you aren’t going up too many floors. 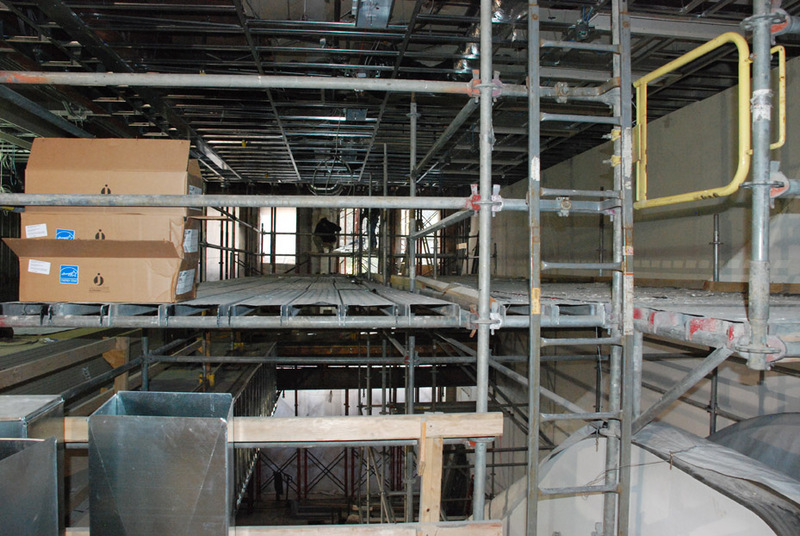 Crews then decked the top 3 levels and added debris netting. 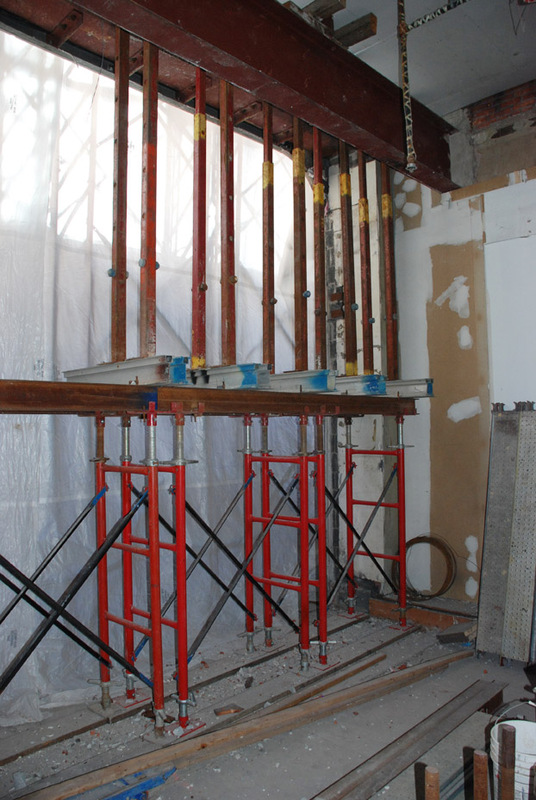 The client asked for 16′ high wood panels out front to help block the view of the work being done inside – so we gladly obliged. In the end, the customer got exactly what they needed and we got another satisfied client.